As you walk the trail up to the brain lab you pass through incredibly beautiful natural aspen and pine forest. The only sounds you hear are the birds and the rustle of the leaves. The sunlight filters through the trees, and you are presented with a changing kaleidoscope of color and images as you go up the mountain. The path is rather steep, but it is so nice and peaceful you don't mind taking your time to rest. You sit down for a moment on the edge of a cool granite boulder. After about a ten minute hike up the mountain you come to a clearing in the woods. To the left is a log cabin with a cast iron bell on the roof. You walk over, and go down three steps made out of stone and read the bulletin board next to a weathered wooden door. It says: "Ring the bell 15 times and I'll come down to meet you. 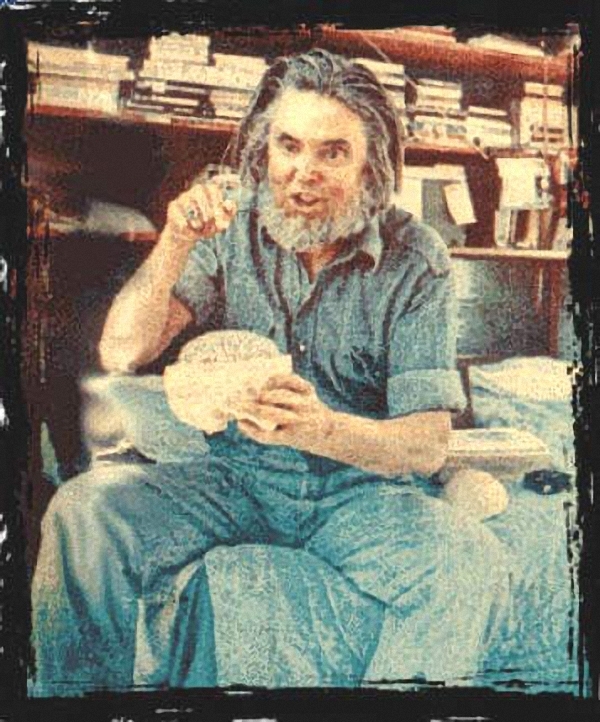 I'm up the hill chopping wood, and it'll take a minute to come down.- T.D." You grab the frayed rope attached to the bell and pull. At first it's stuck, but a harder pull, and suddenly the mountain quiet is shattered by the loud CLANG! CLANG! CLANG! of your furious ringing. You walk up the steps again to wait, and look around. The first water that sloshes out of the nozzle is a bit rusty but in a few seconds, it comes out clear, cool, and refreshing. Ahhh! No clorine or chemicals, YUM! Hey! Here comes somebody from up above where the trail continues up. It's the friendly ghost of T.D. LINGO! "Greetings fellow Brain Explorer! Welcome! "Did you remember to turn out your car lights back at the road?...This place gives your brain a chance to breath here, doesn't it? Now you can learn what went on here via your computer, and what we learned after 35 years of scientific breakthrough research. Your own brain is the most magnificent machine in the universe. We'll show you how to get it running perfectly, and have nothing but fun doing it..... Just wait until you pop your frontal lobes ............I told you there would be a BRAIN REVOLUTION!" "How did I get here, you ask? Let me tell you.... Brain Lab History." "Next, you'll want to Find Your Amygdala Here You'll be learning all about this IMPORTANT Part of the brain soon." A couple of my scientific (with a tad bit of humor added mind you, we're informal here) research reports are at The Library From Another Dimension. "How about some (en) LIGHT(ening) reading? Here's some Easy Brain Facts"
Hey! don't forget this! It's what this is all about! Easy Amygdala Demonstration #1." 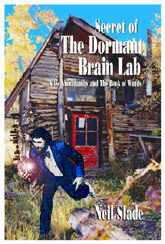 He will help you get started on your own personal BRAIN ADVENTURE." Get the manual we used at our Brain In Nature Course from 1982 onwards at the BOTTOM OF THIS PAGE. I tell ya, nothing beats living high up in the wilderness. Fresh clean air, the wonderful silence, the trees...ah! You can hear yourself think- or not think if you choose. Hundreds and hundreds of people from all walks of life have come up here to over the years. We've all learned so much, I can't wait for you to start benefiting from all the information- and the shortcuts we figured out. We took scientific data from other research labs and scientists from all over the world, and combined it with real practical living experience with hundreds of test subjects. We learned what works- and even better- what doesn't work, so you don't have to waste your time. You've got quite an adventure ahead of you now. Make sure you visit all of this here web site, there's a ton of free useful information for you to start on till you get your books. "Well, I've got to be going...got to polish my guitar in that big log cabin in the sky! (singing) So long, it's been good to know ya..so long...."
This is the original 42 lesson- originally hand typed on a manual typewriter- guidebook used every summer at T.D.A. Lingo's annual Brain in Nature Course at the Dormant Brain Research and Development Laboratory (held 1957-1987). 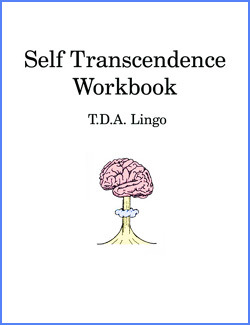 If you want to turn on all your brain's infinity circuits and turn off all that noise in your head, this book explains, one lesson per day, tested and proven methods how to do it. Lingo certainly had his own way of putting things, although this text is thoroughly scientific and intelligent. This is the heavy artillery, be prepared. Effective and proven over 35 years of dedicated behavior and brain research. 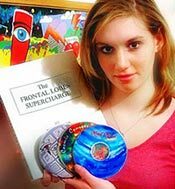 RECOMMENDED: Get The Frontal Lobes Supercharge FIRST. NOT FOR KIDS, UNCENSORED, and DEEP. Reproduced from original mountain mimeographs. $9.95 Instant Download- and you can print out if you like!